Many companies offer Napa wine tour packages to tourists but they aren’t all equal. These packages are so convenient. With their fixed budget and itinerary, they will save tourists from the hassles of having to plan, and they will give them a clear idea on how much they really have to spend for a holiday. To start with, there are around 400 wineries in the region, and choosing which wineries to go to can be quite complicated. A lot of Napa travel guide publications and websites give their own recommendations on the best wineries that tourists should check out. As implied before, choosing wineries to visit tends to be complicated with the sheer number available, so these guides make great suggestions which will help you decide. A great tip is to check out wineries which you think offer excellent wine tours. They may offer visitors the best views of the valley, have unusual architecture, double as an art gallery, or provide the best wines and most intimate wine tour experience. Such wineries include Castelo di Amorosa, Sterling Vineyards (which carries tourists in its aerial tram), Hall St. Helena, Del Dotto Vineyards, Chateau Montelena, Clos Pegase, Quixote Winery, Opus One Winery, Robert Mondavi Winery and V. Sattui Winery, just to name a few. The previous list is an awesome assortment for the first-time wine-loving tourists!. You may want to check out if these wineries are included in wine tour packages. A lot packages offer more than just regular wine tours. Balloons Above the Valley (BATV) is one of the companies in Napa that offers something more in addition to wine tours — an exhilarating sunrise hot air balloon rides over the gorgeous Napa Valley landscape. 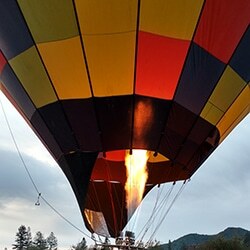 Want to learn more about the BATV sunrise hot air balloon and wine tours? Two of our sought-after packages will bring you meaningful exploration of sights, sounds and tastes, as well as fun and even some peace of mind. For those who want to have just a simple wine tour and a hot air balloon ride, this package is just the right one for you. Enjoy our pre-flight breakfast consisting of warm, freshly brewed coffee and freshly baked pastries to get you ready for what could be the experience of your life. As the hot air balloon lifts from the ground and higher in the sky, you will be able to see the beauty of the valley, with well-arranged grapevines that seem to form pretty quilts or waves on the rolling hills. You will be able to catch the sunrise touching the fields, the hills, and the valleys. Your guide will point out other interesting places as your hot air balloon glides gently along with the wind. After the ride, you and the other guests will be treated to a champagne brunch where you will excitedly recount how amazing the ride was. A wine tour consisting of visits to 4-6 boutique wineries follows the brunch. This will either be right after the hot air balloon ride or on the next day depending on your choice. Discover the process of winemaking from grapes to glass and enjoy buffet-style picnic lunch at one of the wineries. You will tour in style aboard a fleet of limousine buses! If you’re coming from or staying in downtown San Francisco you may consider this amazing two-day package! Our chauffeur will pick you up in the city and transport you to the Wine Country. Ride in style aboard a limousine, where an on-board breakfast with mimosa awaits you and the other guests! A stop at the Golden Gate Bridge allows you to snap some souvenir photos and selfies. Visit diverse types of wineries as you travel around the Napa and Sonoma valleys. Enjoy a picnic lunch at one of the wineries, too, apart from wine and olive oil tasting. The hot air balloon ride takes place on the second day, plus the pre-flight breakfast and post-flight champagne brunch, of course. After the brunch, you may want to shop and do some sightseeing at Oxbow Public Market or The Napa Valley Premium Outlets before being transported to Ferry Terminal in Vallejo, where you will take the ferry back to San Francisco. Or you have the option to be transported to the Ferry Terminal immediately following the brunch. With several different Napa wine tour packages, they leave many tourists wanting to explore the Wine Country with more choices. 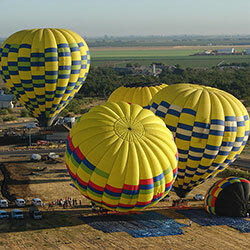 Do not forget to consider Balloons Above the Valley in your next Napa holiday or vacation plans!